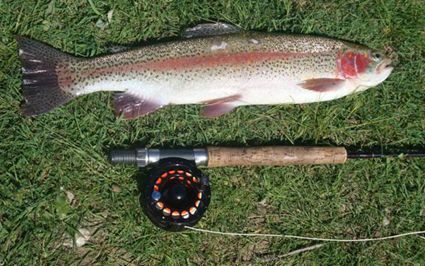 Headlines: Fly fishing in Eucumbene has continued to fire with some outstanding reports, contrary to some recent print and radio reports that had the scribe telling us the water is too hot, too low and that flyfishing is not possible. The facts are that the fishing has continued to get better this past week and has improved, even with the dropping water. Fish have been working the shallows every night over the past week and are more than catchable with both good sizes and numbers in many areas. 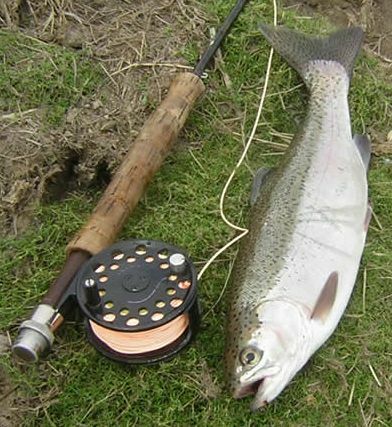 The Thredbo has been running a little higher over the past few days but will fish well over the weekend. 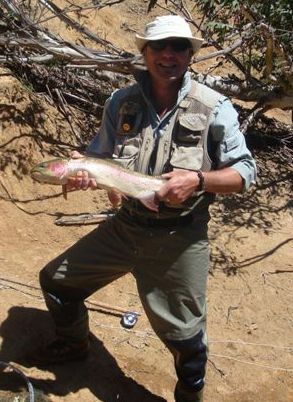 We had great fishing over the Snowy ride weekend on the Thredbo. Three of us landed 21 over 2 and a bit days. Mostly rainbows but all good size and healthy fighting fish. Black and Brown tungsten bead head fished with an indicator were the go. Lake Eucumbene:- Fly reports have been fantastic overall with many anglers catching ten plus fish in a single evening session. Brained em, killed em, cleaned up, whacked them, smashed them these are the words being used everyday in the shop by those that have been fishing the lake. Beetles have been on the menu as well with some good fish in windlanes and around the edges during the day. *Mick Couvee and Bill Foster had another afternoon in the boat around Buckenderra this week with Mick landing six and Bill three. The fish were a little tougher in the easterly breeze but they still managed to get onto a few. *Myself and Stuart Sturgeon had a fun time on Monday night catching twelve between us on midge pupa. The fish were right on the edge amongst the thistles and tussocks. We both got smashed up by a few fish and had a challenging time landing those that we did. 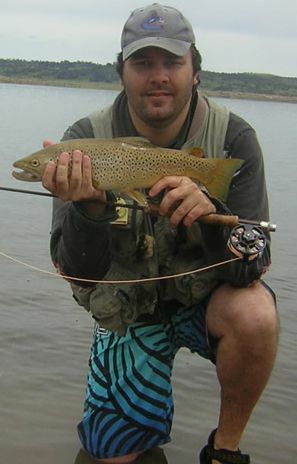 Stuart topped the arvo off with a very respectable 51cm brown which he released. Got quite a bit of video footage as well which I hope to have in the shop over the next few days. *Several other reports from a number of Canberra anglers have come through in the last couple of days with plenty of reports of midge feeders early and late in the day. Fours, fives sixes, eights and fifteens have been the numbers anglers are landing with regular frequency. I got a good brown (50cm) yesterday around lunchtime on a Zulu. My little brother Andrew spotted him rising in the deeper trees and I put a little zulu out in the general area and got quite a surprise to see a fish boil and take the fly out of the corner of my eye as I scanned the water for more rises. Caught a few in the rain the other night too. Patterns that have caught fish for me over the week so far include: black ant, zulu, midge ball, mrs simpson and also had a take on a little black stimulator. *Mick Patton fished on Monday night for four fish landed and a monumental wipeout. Despite being in immense pain with an injured foot and elbow (rod arm) he still caught nice fish. Black Toad, Tricolour and Y94 have been the pick of the colours in Tassies. With the fish looking up at all the plentiful insect life, mudeyes will be the optimum bait in the evenings. During the day scrubworms, grubs or powerbait will work. We may see a few mudeyes hatching over the next two week with the rising moon and should this occur the fish should start to search them out.